Cells traverse the cell cycle through G1 → S → G2 → M phases, and then divide into two daughter cells, which then enter the next cycle or exit to a quiescent G0 phase. This process is tightly controlled by serine–threonine kinases named cyclin-dependent kinases (CDKs). CDKs, as catalytic subunits, become active only in association with their regulatory partner cyclins (e.g., cyclin D–CDK4/CDK6, cyclin E–CDK2, cyclin A–CDK2, cyclin B–CDK1, cyclin C–CDK3). Full activation of the cyclin–CDK holoenzymes requires phosphorylation at particular sites in CDKs. CDK activity is also negatively regulated by direct interaction with CDK inhibitors, which consist of two families, the inhibitor of CDK4 (INK4) family, which specifically inhibit cyclin D-associated kinases, and the kinase inhibitor protein (Cip/Kip) family, which inhibit most CDKs. Dysregulation of these genes (e.g., CDK inhibitors, cyclins, and CDKs themselves) is a common mechanism responsible for out-of-control cell growth, the main characteristic in cancer. Beyond cell cycle regulation, CDKs also play critical roles in gene transcription and neuronal function. In the former case, cyclin T–CDK9 and cyclin C–CDK8 are only involved in transcriptional regulation, whereas cyclin H–CDK7 is involved in regulation of both the cell cycle and transcription. In the latter case, so far CDK5 is the only characterized neuron-specific CDK that appears to function as a double-edged sword dependent on its binding partners (i.e., physiological p35/p39 vs pathological p25). Thus, CDKs are attractive targets for both cancer therapy and neuroprotection, and numerous pharmacological CDK inhibitors have been reported. One major challenge remains whether and how CDK(s) should be inhibited in either of the circumstances. 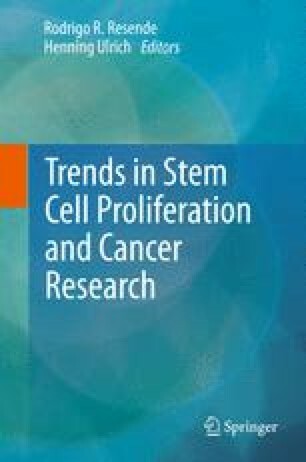 This review summarizes current understanding and recent advances in this field. This work was supported by two RO1 grants (CA100866 and CA93738), a Multiple Myeloma SPORE award (1 P50 CA142509-01) and its Developmental Research Program subaward (29859/98018093) from the National Cancer Institute, and an award (6181-10) from the Leukemia and Lymphoma Society of America.